Japanese Raku dates from the 16th century and the Momoyama period of Shogun warriors. The golden seal, the name of Raku, was bestowed on Chojiro the favored potter of the tea master of the dominant warlord Rikyu by Hideyoshi. The Japanese name is only given to pottery created by the descendants of the Raku family for the traditional tea ceremony. We fire American Raku on the VisArts Rooftop with the same excitement and integrity but without the official Shogun. And it’s tons of fun! Raku pieces are put directly into a very hot kiln where they remain about 20 minutes until the glazes have melted at a temperature of 1820 F. Each piece is them removed from the kiln using long Raku tongs and put into a container with combustible material. The atmosphere inside the covered container produces wonderful lustrous and crackle glazes, which makes each piece unique. We will try to fire in at least three different ways each firing day: traditional American Raku; Horsehair Raku and one, if not two ways of firing Naked Raku. All pots must be glazed no later than the day before the firing and Raku glazes will be available in the Glazing Room in the week prior to the firing. 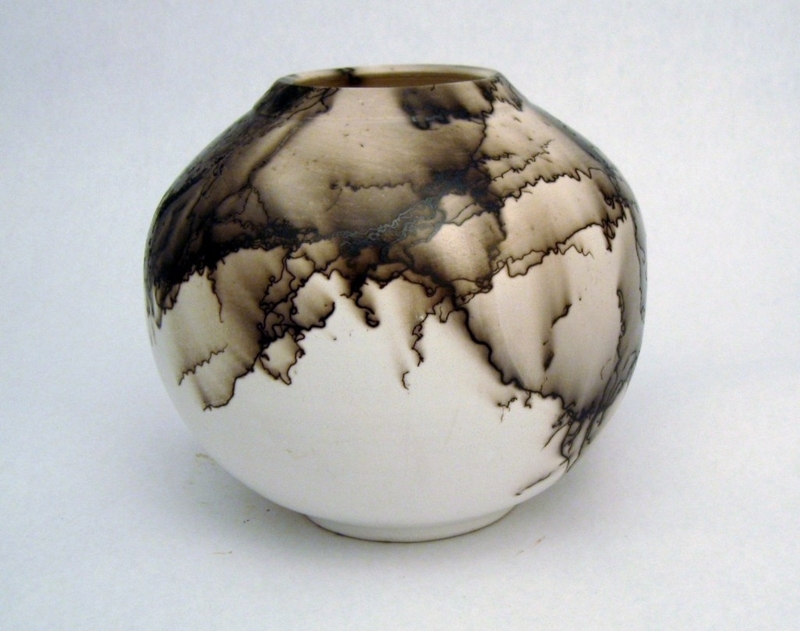 No previous experience in Raku is necessary and all glaze materials are included in the workshop. Clay is not provided. Any high-fire clay that VisArts uses may be used for Raku.